The MVRHS girls hockey team won its second straight game, topping Latin Academy/Fontbonne Academy, 2-1, in Southeast Mass. 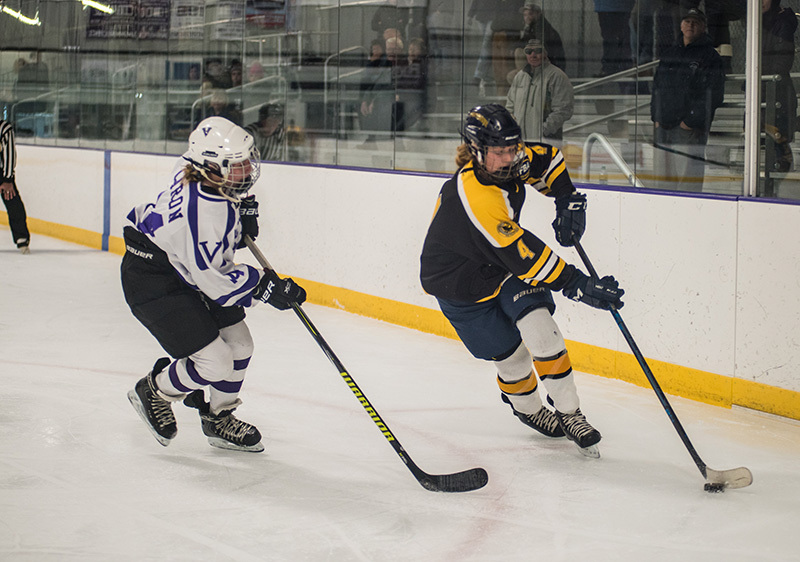 Girls Hockey League action , Saturday at the MV Ice Arena. The Vineyarders scored both goals in the second period. 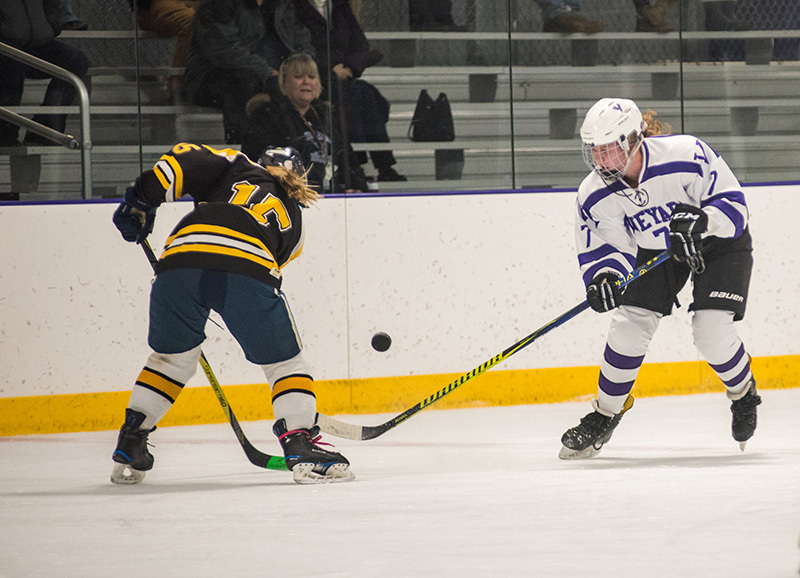 Meghan Sonia lit the lamp 56 seconds into the period, assisted by Lila Mikos and Hailey Meader tallied seven minutes later with what proved to be the game-winner. MV outshot Latin/Fonbonne 19-18 for the game, with winning goalie Amelia Simmons making 17 saves. 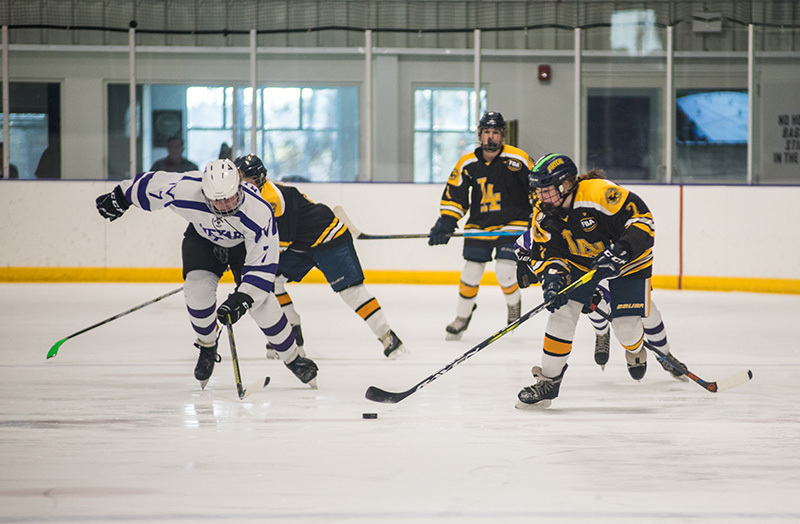 The Vineyarders (2-4 overall, 1-1 SEMGHL) will have a stiff test on Saturday when they host Norwell, a Division 2 quarterfinalist last season. The puck drops at 5 pm.